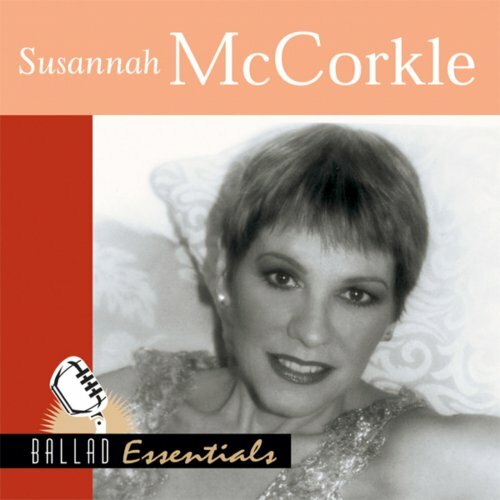 Noted for the beauty of her voice and ability to freshen up the most tired lyric, Susannah McCorkle left behind an impressive and large body of work at the time of her death in 2001. Ballad Essentials concentrates onMcCorkle’s softer side, collecting a dozen pieces recorded for Concord between 1983 and 2000. A remarkable cadre including Ken Peplowski, Emily Remler, and Bucky Pizzarelli join her on a variety of standards by Cole Porter, Rodgers & Hart, and the Gershwin brothers. The arrangements vary from vocal/guitar duets with Howard Alden and Al Gafa to the small-orchestra backing of “Let’s Face the Music and Dance.” There’s an enjoyable, intimate version of “Why Don’t We Try Staying at Home” and an elegant rendering of “Skylark.” It’s notable that McCorkle, like Ella Fitzgerald, chooses to include the verse, or beginning, of songs like “There’s No Business Like Show Business” and “It Never Entered My Mind.” A lovely rendition of Django Reinhardt’s “Nuages,” complete with French and English lyrics, provides a pleasant surprise, while “Manhã de Carnaval (Sunrise)” displays McCorkle’s ability as an interpreter of South American material. For those less familiar with the great vocalist’s work, Ballad Essentials serves as an excellent primer. For fans, the album gathers a dozen similarly toned pieces, or an hour’s worth of music, in one place. A fine collection.